When it comes to implementing new technology on your dealership website, there can be a learning curve. Every change requires understanding a new product, training your staff, and tracking for success. At times, implementing new systems can create more work for your dealership, not less. That’s why it’s crucial to choose tools that both provide real value and actually increase your efficiency—tools that work much harder for you than you do for them. Fortunately, when it comes to artificial intelligence (AI), value and efficiency are key. With the right AI tools, your team can boost your profitability—and at the same time, cut your team’s busywork. 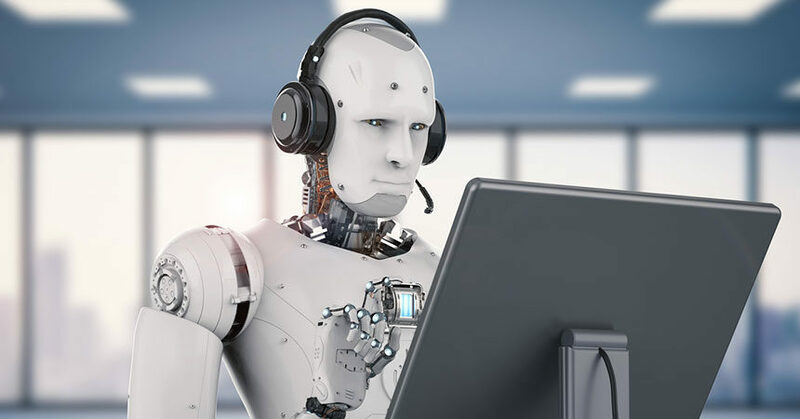 We’ll explore both of these benefits, but first, here are some of the capabilities of artificial intelligence that can increase your leads and sales. Most customers may not be ready to buy cars online, but they do spend a huge amount of time on their phones and computers researching. Therefore, the ability to track and analyze their behavior is crucial to providing a superior, personalized customer experience. Studies show that being able to collect enough accurate data—and then gain quick insight from that data—is highly challenging. AI can do exactly that. The right tools can follow shoppers’ digital behavior, and tell you what led them to your website, how many times they’ve visited, what pages they’ve viewed, and for how long. This insight is a tremendous asset to your dealership because you can act on this activity to provide sales-boosting personalization at every stage of the buying process. AI tools can take this data collection a step further, analyzing it to predict what customers will want to see, and when they’ll want to see it. This type of technology can present relevant ads, on-site engagements, conversion opportunities, and follow-up for your customers, all in real time. It provides superior personalization for increased capture of leads, entirely automatically. One of the great aspects of artificial intelligence is that it continually improves itself based on data input. So if you run a campaign on your website—for example, a lead-capture form for a holiday sale—your AI can constantly evaluate the campaign’s success, and decide if it needs to modify its target audience or timing. If users respond well to a particular engagement, the system will recognize this engagement as successful and optimize; if they don’t, it can automatically adjust to provide something better. With an AI marketing system, tracking, analyzing, and predicting what your customers need, your team can provide superior personalization for better lead capture. The best part is that you can also save time on tasks that drain your team’s resources. Here’s how. Because artificial intelligence systems track, analyze, and use data in real time, your team does not have to sift through reams of information—often from different sources—which is usually difficult to analyze. AI makes using data easier and more effective by automating the A/B tests, optimization, and actionable items for your team. A website that is equipped with AI tools helps customers find exactly what they’re looking for. Targeted engagements show them the right deals, smart searches direct them to inventory information, and responsive tools give them directions to your dealership, which frees up the time you would spend answering basic questions over the phone or email. Your team can then focus on customers who need a higher level of assistance. When leads come into your CRM with the enriched data that comes from AI tracking on your site, you’ll be able to have more focused follow-up calls. You won’t need to waste your time—and theirs—covering the basics of what their interests are, and where they are in the buying process. You’ll already have all of that information at your fingertips, making a more efficient, higher-value conversation possible. AI can automate your lead scoring so that you don’t have to spend time figuring out how close your leads are to buying. Instead, you can take advantage of automatic data-based lead scoring to determine which leads to be more proactive with, and which would benefit from a different type of nurture. Anyone who has tried to set appointments with internet leads knows how time-consuming it can get: calling leads repeatedly until they answer, engaging them enough that they actually decide to book the appointment (and then keep it), and dealing with the frustration of leads who don’t show up. AI can automate appointment-scheduling right on your website so customers can book their test drives and service at the highest moments of interest, and on their own time. You save the hassle of chasing them down and getting them to commit, and they get to pick a time they’re likely to actually keep. The dual advantage of AI tools—greater value through personalization and less busywork for your team—will put your dealership at a huge advantage when it comes to reaching more of your digital shoppers. And with great digital service for them and more time for you, you’ll not only see more customers come into your dealership, you’ll have the time to provide the best in-person service to get the sale. Ilana Zur is director of business development at AutoLeadStar, a lead-engagement platform for auto dealerships, powered by artificial intelligence. AutoLeadStar specializes in person-level analytics and lead capture to convert more of dealership websites’ traffic into qualified leads. Ilana loves learning about new dealerships and partnership opportunities, so feel free to reach out to ilana@autoleadstar.com.